What a Wild Wood Experience! 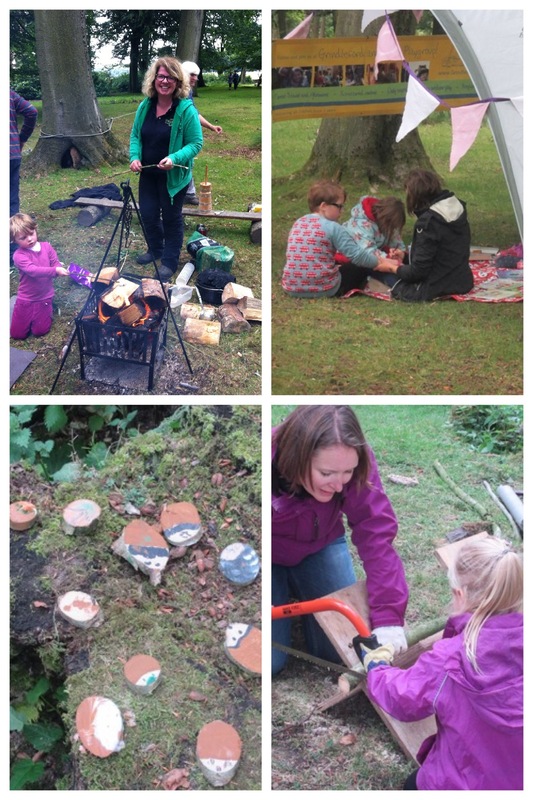 We hosted the forest school session at the Longshaw Wild Wood Experience and what an experience it was! 8lbs of bread dough, 20 pints of pea and nettle soup, 4 sacks of logs, 2 bags of marshmallows and 1 pint of cream….and more giggles, smiles and happy people than could be counted. Many visitors spent quite a lot of time at the site having a go at bread making, butter churning, fire starting, animal disk making, playing on the seesaw or just enjoying some quiet time under the gazebo reading and colouring. We were voted the best attraction on the day! Thanks to the National Trust and to all our staff and helpers for making the day so wonderful and for raising funds for Grindleford and Eyam Playgroup. This entry was posted in Uncategorized and tagged Forest School, Longshaw Estate, Wild Wood Experience on August 18, 2015 by grindleford13. What a lovely stuff you people did! It seems really interesting and creative.